Throughout many organizations both small and large, many so called leaders act more as managers and less as true leaders. Organizations that have this kind of leadership culture, usually become dysfunctional, lose market share, experience high employee turnover and eventually go out of business. True leadership is the bedrock for successful organizations. 1. Sharing knowledge and their experiences freely, without expecting anything in return. 2. Lead by example and do the dirty work when needed. 3. Promote from within and encourage employees to dream big. 4. Built bench strength among employee ranks. 5. Promote the organization brand in the marketplace. 6. Set aside time on a regular basis for townhall style type discussions with employees. 7. Write thank you and appreciation notes to employees. 8. Strive for building a culture of trust and mutual respect among managers and employees. 9. Share the organizations business objectives and current state with all employees and not just the leadership team. 10. Promote a healthy and nurturing work environment. 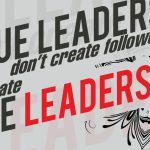 Let One World Consulting Group assist your organization in building true leaders . Contact me at 425-766-9778 or e-mail me at paul@oneworldconsultinggroup.com .